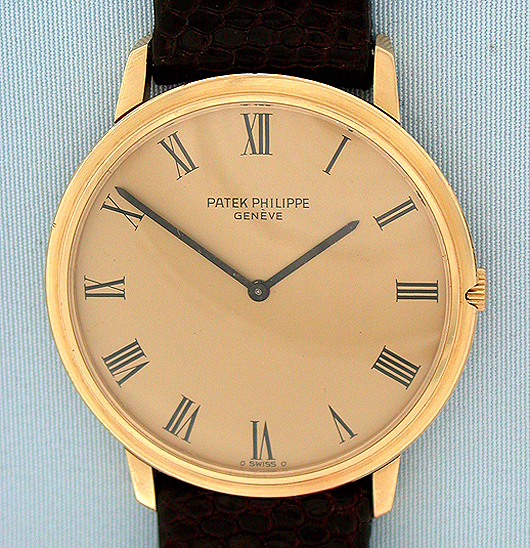 Fine and slim Patek Phillipe 18K gold vintage automatic wrist watch circa 1971. 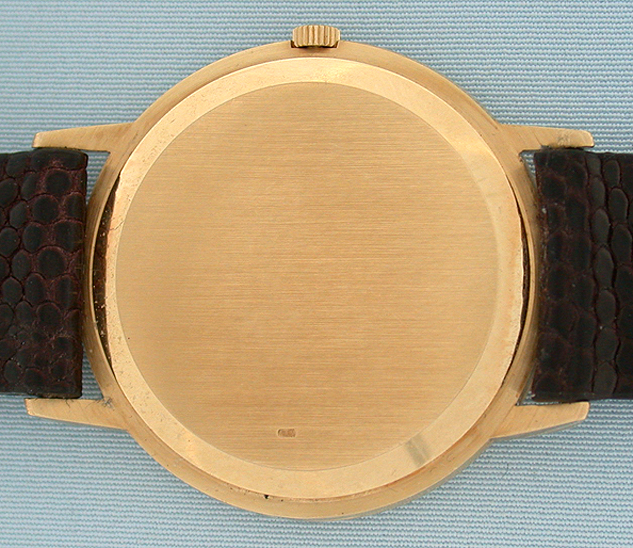 Original gold dial with black markers and black hands. Slim case with downward sloping lugs and original crown. 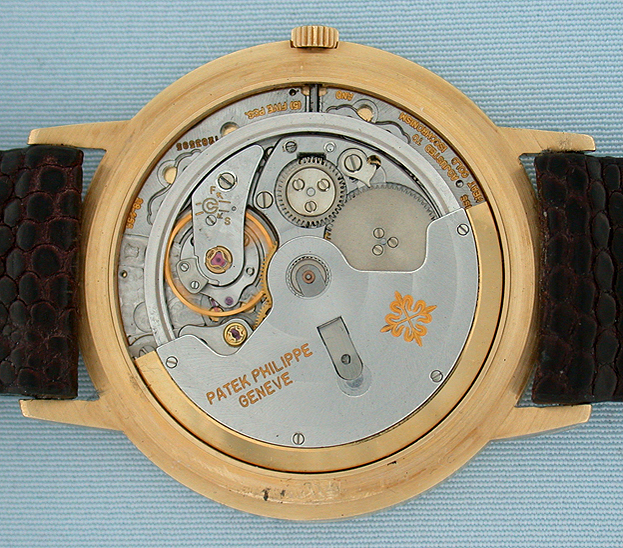 Calibre 28-255 rhodium 8 adjustment 36 jewel movement with gyromax balance and Geneva seal. Handsome and elegant.